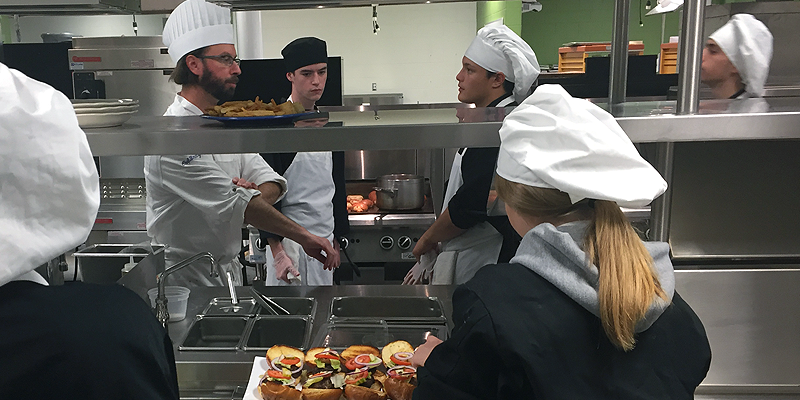 It's opening day for the 3 Seasons Restaurant and the first plate of food will soon be served to customers and members of the culinary program advisory board. The restaurant is located in a corner of the high school near where the automotive garage use to be. The new 3 Seasons is a clean, modern eating space with 18-foot, floor-to-ceiling windows, seating for 50, and an outdoor patio area.